Wahid, who hails from the village, is persuaded by his girlfriend Rahmah to find a job in the city. He encounters a host of colourful characters along the way and gets caught in absurd job situations that always end in hilarity. 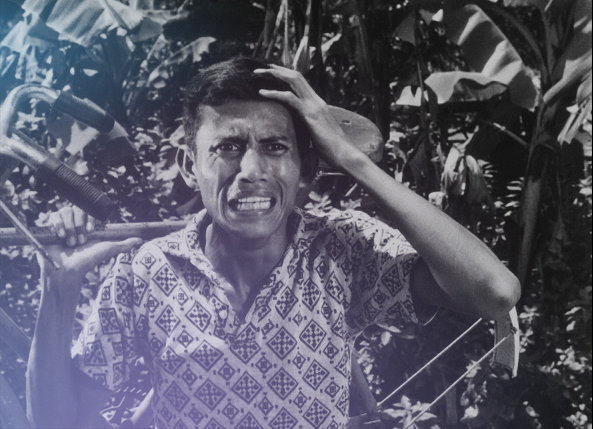 Gado Gado is one of the 91 sole-surviving Cathay-Keris Malay Classics film titles made during Singapore’s Golden Cinema era from the 1950s to early 1970s, and preserved by the Asian Film Archive. In 2014, the collection was inscribed onto the UNESCO Memory of The World Asia-Pacific Register, a list of endangered library and archive holdings. At 35 minutes long, the film is the only musical variety short from the Cathay-Keris catalogue.